The dull doom of impending marriage at his back and a reticent royal at his side, remarkable minstrel Gant-o’-the-Lute is off in search of adventure, and you can be sure he finds it – complete with much music, magicked maidens, and a dangerous power so great, Lute might for once find himself outmatched. Remember my little complaints regarding The Seventh Spell? They don't apply any longer. I doubted that I would have to worry for long! I admit upon starting this book I had my insecurities: I didn't know much about Gant-o'-the-Lute just yet, and I was not a fan of Benedeck in The Stone Kingdom. As usual, however, my interests were captured and happily enslaved to the book's plot. Throughout this novella we learn a little more about the culture that is the world of the Wilderhark Tales, including some of the "myths" that pervade their culture and we get to witness another kingdom or two. The character exploration in this addition surpasses that of the previous books. In the first, Sula and Villem found themselves, but when it came to their innermost traits, they didn't get into that as much. The same for Rosalba in The Stone Kingdom. The Seventh Spell spent much more time focusing on the major problem at hand (understandably). So to have a book that's perfectly paced while digging into the depths of the two protagonists is refreshing and fun to read! It ties up a loose end left behind from The Stone Kingdom and shows us so much more about Lute's conflicting desires - and, once again, love prevails over all in a wonderful twist. Perhaps the one thing I'm unsure of in this addition is how a certain spell was cast in the first place. To prevent spoilers, all I'll say is that it's a spell Benedeck is sent to solve. Did Lute accidentally cast it? I don't think it was ever confirmed. Otherwise, I have no complaints about The Song Caster. 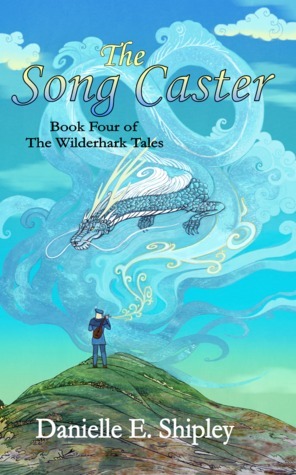 Delicious plot twists, amazing characters, perfect pacing, a nice blend of conflict and resolution, in general a fantastic and worthy addition to The Wilderhark Tales. "Pleased to have pleased you," says Gant-o'-the-Lute, his signature self-satisfied smile stretched wide. "One does try." Happy Book Birthday, Surrogate Sea!!! W3: Have An Ambient Day!